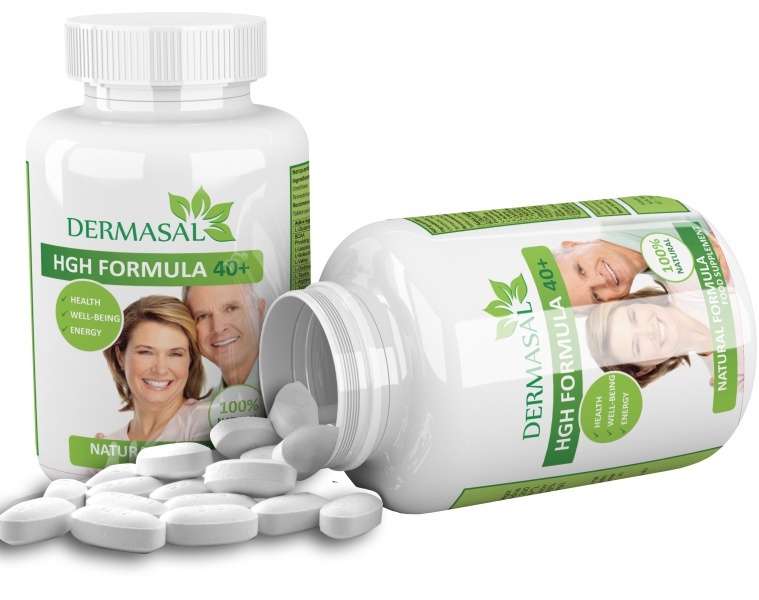 HGH FORMULA 40+ Dermasal HGH FORMULA 40+ is made 100% natural ingredients which have many good impacts. Doctors and Health Care Professionals worldwide now believe that increasing your levels of human growth hormone may facilitate improved health, fitness, energy, permanent weight loss, sports and workout performance, bring other hormones into normal ranges and so much more! Dermasal HGH FORMULA 40+ is made 100% natural ingredients which have many good impacts. Doctors and Health Care Professionals worldwide now believe that increasing your levels of human growth hormone may facilitate improved health, fitness, energy, permanent weight loss, sports and workout performance, bring other hormones into normal ranges and so much more! You really CAN turn back the hands of time and reclaim the youthful appearance, vigor, and health of your 20s and 30s! The Secret is HGH - human growth hormones! The medical community has long known the anti-aging benefits of restoring your HGH levels back to what they were in your 20's. Recently there’s been a lot of hype about HGH and its anti-aging abilities. So what exactly is HGH? HGH stands for Human Growth Hormone. As you age, your levels of HGH go down and this is what brings the onset of the unpleasant symptoms often associated with aging. These symptoms include aches, pains, and loss of energy. Currently, there are a few ways to get HGH, but most of them are very costly and require a prescription from a doctor. HGH FORMULA 40+ is an all-natural HGH supplement that is both powerful and cost effective! 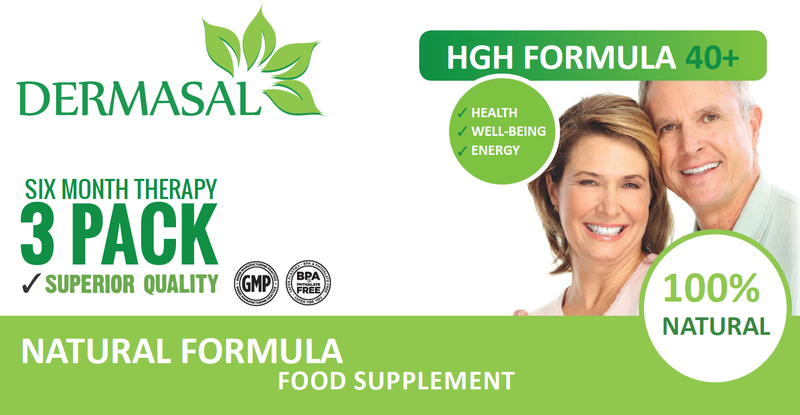 HGH FORMULA 40+ works by stimulating the brain through natural ingredients to produce HGH through the pituitary gland. HGH FORMULA 40+ will give you a faster metabolism, as well as helping to improve muscle growth. HGH FORMULA 40+ will get you feeling young again and feeling better than ever! If you are concerned about the effects of aging and want a solution that can help you lose weight, gain lean and toned muscle and optimize brain function, HGH FORMULA 40+ is the solution for you. L-glutamine for helping you look and feel better than you have in years. Emerging science shows that the ingredients, taken orally, can boost the body's own production of human growth hormone (HGH). Cutting edge researchers are working out the correct dosages for maximum production, and trying to determine the precise level of effects. HGH FORMULA 40+ was developed in anticipation of those conclusions, and the formula was inspired by the combinations of ingredients used in the studies. level up to 600% and your body becomes young again. Please check the video how HGH works on your body. Human Growth Hormone is the key to feeling decades younger and now you can get the benefits naturally. Learn how to boost your body’s own HGH production. This a water soluble source of choline can contribute to dramatically raising human growth hormone levels while acting as a precursor to the neurotransmitters acetylcholine and phosphatidylcholine in the brain. This amino acid is derived from L-Argine (another ingredient in HGF-1) and assists in the production of human growth hormone as well as detoxification of the body. Studies have shown that L-Ornthine alone can raise HGH levels up to 4 times baseline levels. L-Arginine is a powerful ingredient that has been shown to have a synergistic effect when combined with L-Ornithine to signal even higher levels of growth hormone production. Glutamine is the most abundant amino acid in human muscle system. It directly regulates the production of protein and cell activity. In a study of 9 healthy subjects consuming two grams of oral glutamine 45 minutes after a light breakfast found that 8 of the 9 subjects experienced elevated plasma growth hormone within 90 minutes. These findings demonstrate that even a small consumption of oral glutamine is capable of elevating plasma growth hormone. L-Valine is burned for fuel within the cells to promote muscle recovery and growth. L-Valine plays an important role in the generation of new tissue growth which leads to incredible healing effects. By working synergistically with L-Isoleucine and L-Valine, L-Leucine is an amino acid that increases lean muscle, improves nitrogen balance, and increases muscle glycogen all while also increasing energy. Our HGH therapy is 6 months. You receive 3 doses with 180 tablets in one dose. Each day you take 3 tablets.